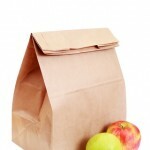 Four years ago, I wrote a blog post titled, Preschool Lunch Ideas that compiled the wisdom of my friends into a handy list of great ideas to pack in a lunchbox. To this day, it’s my most popular blog post (by far, I think this has something to do with the fact that it comes up first in Google search results) and traffic spikes every August and September as thousands of moms search for smart ways to feed their kids when they’re no longer around to control what they put into their mouths. And let’s just call it for what it is right here and now. We cram creative, nutritious and fun food into their lunchboxes thinking we have some control over what they eat. Wrong! Once they enter elementary school and the teacher is no longer sitting at their table coaxing them to eat their vegetables before attacking the cookie, we lose control of the lunchbox. Every day they’re herded into a cafeteria with dozens of other wide-eyed, fidgety, eager kids who care nothing for mommy’s grand plan for them to eat the vegetables and carrots first before you have your cookie. Most kids unzip a lunchbox filled with much more than they can eat. I used to be guilty of this, too, until it all came back at the end of the day. Not only do we pack too many items, but too much of each. Remember, small kids have small tummies. Daughter tells me to pack “only three things, Mommy.” Keep it simple. Make sure young children can open what you pack. Many are too shy to ask or the lunchroom may not be staffed with enough aids to help out. Next thing you know, the bell rings and they haven’t eaten! While I like the idea of my kids having a treat to delight them when they open their lunchbox, I know Daughter will go straight for it and dis the sandwich and veggies. In fact, spying Mommy watched her eat the Rice Krispie Treat first and chips second that first day of school and close the lid on the carrots and turkey. So, I skip the dessert and give it to my kids after school. In the lunchroom, I did watch some children eat their lunches first and desserts last. But most had time to only eat a bit or two of a cookie before the bell rang. In our cafeteria, each classroom or table is called up to go through the lunch line. This means that children buying items are disrupted from eating to go buy a drink or snack or even lunch. When they return, they have even less time to eat. Pack what you can to save them from going through the line. Whatever we pack competes with friends at the lunch table and the general mayhem of the lunchroom. A few bites might be taken amidst the fun. I try to make them count. Last Friday, I told my kids they could buy lunch since it was pizza day. Daughter bought Apple Jacks, a cheese stick, and a yogurt. “I couldn’t read what kind of yogurt it was so I didn’t eat it. I ate the Apple Jacks and cheese stick,” she told me after school. Clearly, she ignored the “healthy choice” options available to her. Why not? With fun foods available, she capitalized on her ability to choose for herself and went to town. I don’t blame her. I can coach her about what to buy but at the end of the day, it’s her choice. My choices are what to pack for her when she brings lunch and what to give her at home to offset those Apple Jacks. While Son, in second grade, eats his sandwich and veggies; last year he went straight for the dessert. Sometimes kids grow into smart food choices. Or not. One day, I’ll lose control of that little lunchbox, too. And I’ll probably see the slight orange stain of Doritos around somebody’s lips after school.